Since just about the dawn of WordPress, moving the WordPress backend to the frontend of your site has been a bit of a hassle. WP User Frontend Pro opens up this door, allowing you access to forms that let users edit posts and pages, login and register, and edit their profile, all without going to the WordPress admin. At the root of WP User Frontend is a customizable form builder that you can use to bring backend functionality to the WordPress frontend. These forms truly can be made to do anything, but the simplest example is a form of editing posts and pages. When you first activate the plugin, it will ask if you want the plugin to set up a series of pages automatically for you. What this will do is create a few new pages and add the proper shortcodes and settings to them so you can get started right away. But in order to complete the process, you’ll need to set up your first form. You can do this by going to User Frontend -> Forms and clicking “Add Form”. 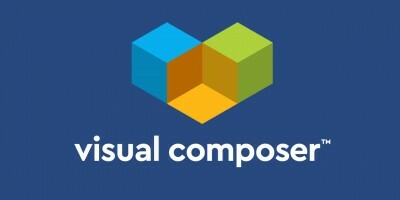 You’ll be brought to a simple form editor, which is completely drag and drop. Across the right sidebar will be a list of common elements which you will need to build a proper form for editing post. 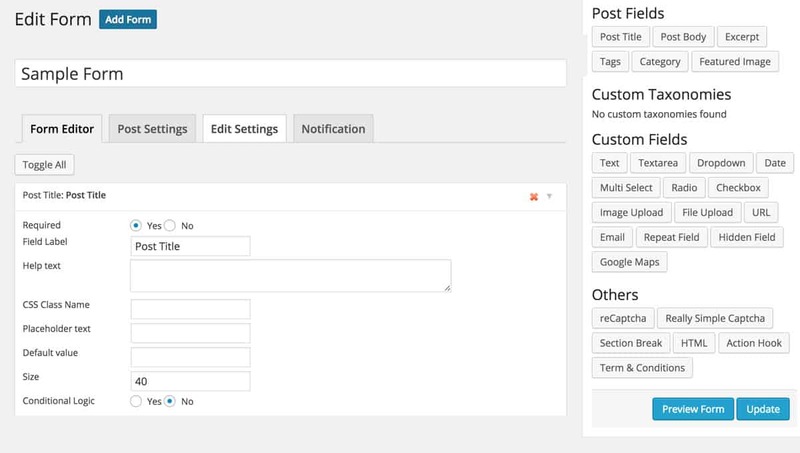 For instance, you’ll at least want to drag in the “Post Title,” “Post Body” and “Category” fields. 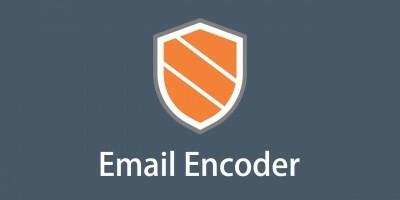 This will ensure that users will be able to access the post data necessary to make changes. However, you can take this one step further. 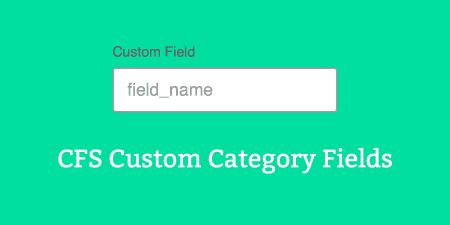 There is also a whole list of elements that match up to custom taxonomies and custom fields. When you drag one of these over into your form, you will be able to customize exactly what the meta key or taxonomy it should match with. So if you have a post that is built up of a lot of content blocks, making use of custom fields, you can easily build up a form that has access to all of this information. And there is a wide range of elements to chose from, like dropdowns, Google Maps, Image or File Uploads, and taxonomy builders. 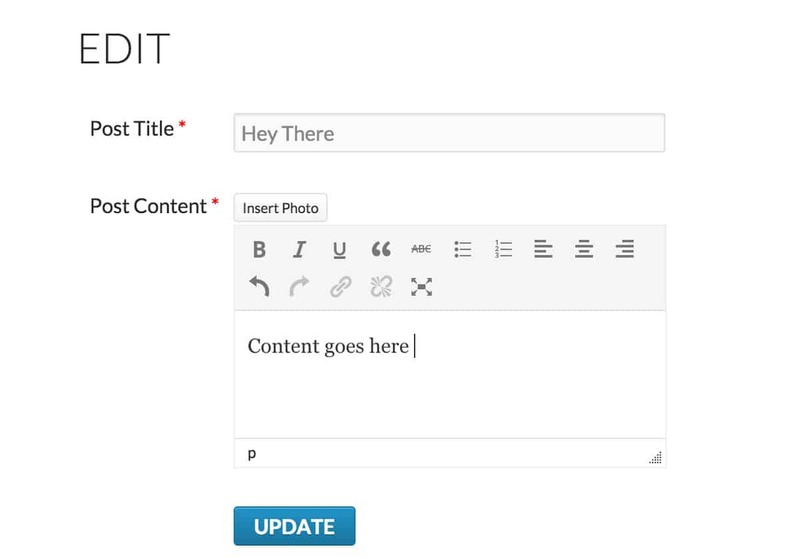 When you finished setting up your first form, you’ll most likely want to make it the default, so you can call it something like “Post Editor.” Then, you can hop over to User Frontend -> Settings and from the “General Options” tab, select your newly created form from the “Default Post Form” drop-down. But you are not limited to just one form, and in fact, you will probably want to create a few. If there is a special custom post type that requires special custom fields, for instance, you can go to the “Form Settings” tab in the form editor, and select from a list of post types. You can also set up some basic settings for the form, like where to redirect when a new post is added or edited, and default settings for comments and revisions. Of course, forms are useful for more than just editing or adding posts. You can also move your registration and login pages from the backend to front with the click of a few buttons. When the plugin sets up its default pages, it will also create one for your login and registration forms. 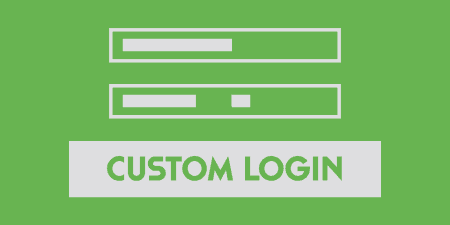 That way, users can log into your site on a customized page, which gets around the problems with customizing WordPress’ default login/register page. The login page is pretty standard (username and password), and is automatically added to a page titled “Login,” though it can also be added with the shortcode, “[wpuf-login]”. However, you have a bit more control over the Registration form that is shown. This is added to a page titled “Registration,” and can be customized by going to User Frontend -> Registration Forms in the WordPress admin. I’ll point out right now that “Forms” is plural here for a reason. 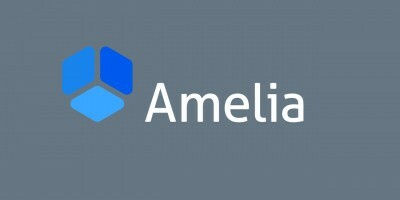 You can have multiple registration forms if that suits the needs of your site. But the best way to get started is to edit the existing “Registration” form and add any fields you want to it. By default, this form will only collect a username and password, but you can add any fields you want to the registration form by clicking on any of the elements listed in the right sidebar. You can add default profile fields to the form, like “Nickname,” “Biographical Info,” or “Website.” Or, you can select from a wide range of custom elements (radio buttons, drop-downs, Google Maps, etc.) to collect information to be placed in custom fields. You can make the registration form as simple or as complex as you want. And you can hop over to the “Settings” tab to customize what kind of user role a new registration should be assigned, and other custom options. You can also set up multiple registration forms for users of different types or roles. When you view your registration forms, you will notice that in the last column labeled “Shortcode” there are actually two shortcodes listed, one for Registration and one for Edit Profile. That’s because any form you create for registration can also be used by existing users to edit their profile. If you paste the edit profile shortcode into a page, then any user who visits this page that is logged in will be able to edit their profile. That means you can easily set up a separate form for registration and the profile builder, or use the same for both. As I said, most of WP User Frontend’s features come from your ability to create and customize forms and post them to the frontend of your site. From there, you can do pretty much anything you want with the plugin. 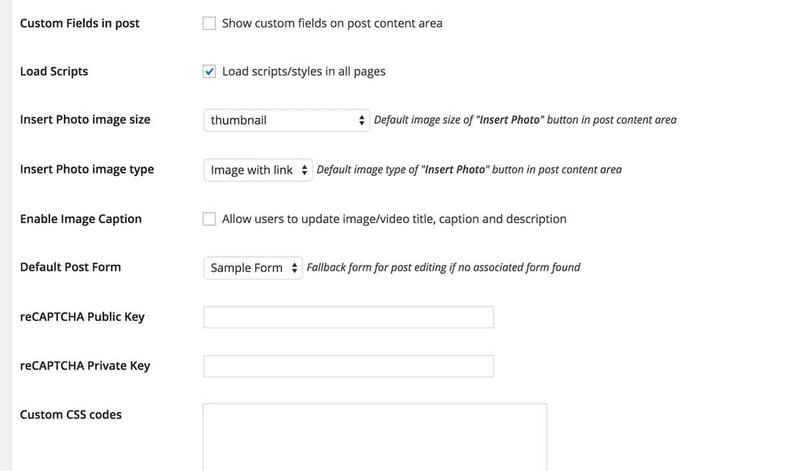 The plugin also offers quite a few options for customizing your forms to fit your site’s needs. Most of these options can be tweaked in a global way by going to User Frontend -> Settings. Here, you will be able to choose who can edit posts, whether to load in external scripts, which form should be used as a baseline, or default, which pages should be used for login and registration, and a whole lot more. Though the plugin sets you up with some smart defaults, it is worth looking through and seeing if there are any options that can be tweaked. Most of these options can also be changed for each form by accessing a form’s “Post Settings” and “Edit Settings”. What I mean to say is that you would be just fine if you never touched the options at all. But if you decide you want to get something a bit different from the plugin, there are plenty of opportunities to do so. If you’re looking for a quick and simple way to start editing posts and profiles from your sites frontend, then WP User Frontend should work very well. There is a lite version available, which comes with only one form and not as many features, but it gives you a good sense of what the plugin can do. The premium version of the plugin has the full features listed here, and ranges from $49 for a single site, to $159 for use on unlimited sites, which of course comes with the usual updates and priority support for 1 year.